A modern-day Bonnie and Clyde were caught red-handed while trying to steal on a bus in Sanya, Hainan yesterday and not-so-smoothly attempted to get out of the situation by pretending they were deaf. 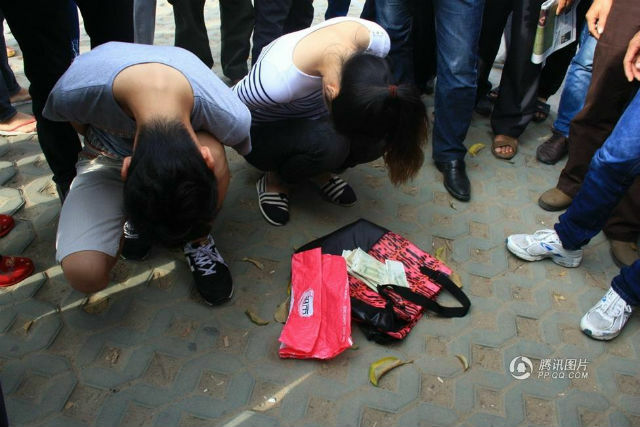 The police caught the two pickpockets after they’d been reported, and found the stolen goods in their pockets on the spot, Tencent News reports. The two suspects kept silent and lowered their head when facing the evidence, pretending that they couldn’t hear the police. Officers seemed to catch on soon enough. Their efforts are only slightly more commendable than the Chinese guy who tried to evade trouble from the cops by pretending that he couldn’t speak Chinese.